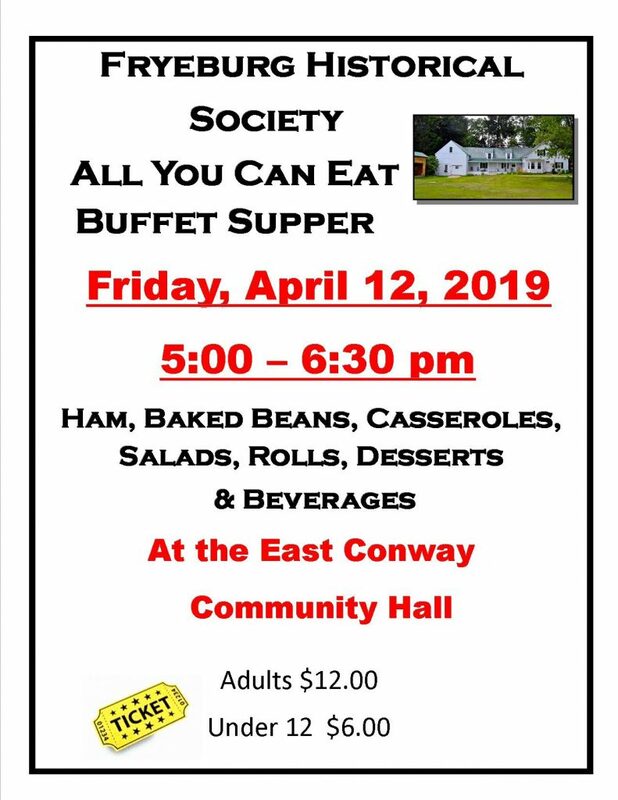 Once again, all community suppers will be held from 5:00–6:00 p.m., at the East Conway Community Center. Circle these dates on your calendar! Mother’s Day Tea: Our popular teas are returning after a few years’ hiatus. This is a perfect event to share with your daughter, granddaughter, or friends. May 11, 1-3pm. 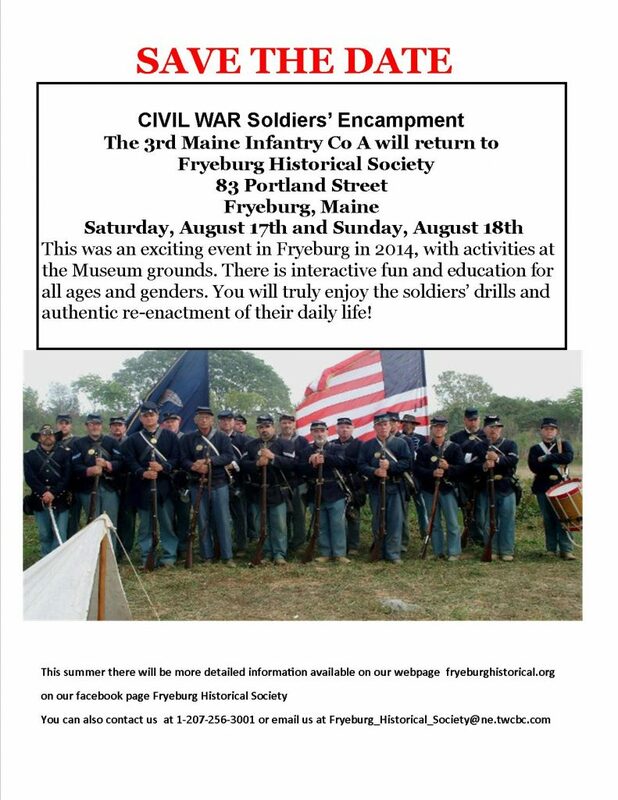 Daily life in the Union Army will be reenacted at the Col. Samuel Osgood House! More details as the date grows near, so check back here and on our Facebook page.